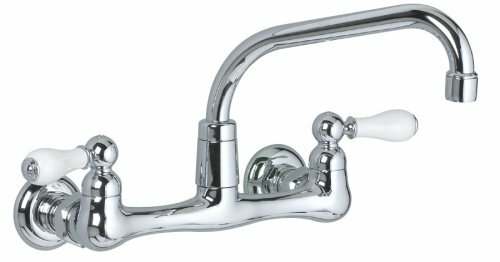 7295252.002 Handle Type: Porcelain Lever Features: -Metal or porcelain lever handles.-Soap dish.-Ceramic disc valving assures drip-free for life performance.-ADA Approved lever handles.-5 5/8'' swing spout.-Lead Free: Faucet contains Less than 0.25% total lead content by weighted average. Construction: -Durable brass construction meets Safe Water Drinking Act requirement. 7292152.002 Handle Type: Metal Lever Features: -Metal or porcelain lever handles.-Faucet ONLY.-Ceramic disc valving assures drip-free for life performance.-Does not include the soap dish.-ADA Approved lever handles.-12'' swing spout.-Low Lead: Meets NSF Standard 61/Section 9 & Prop 65 lead requirements. Construction: -Durable brass construction meets Safe Water Drinking Act requirement. Specifications: -1/4 turn washer less ceramic disc valve (Super Europa) cartridges. 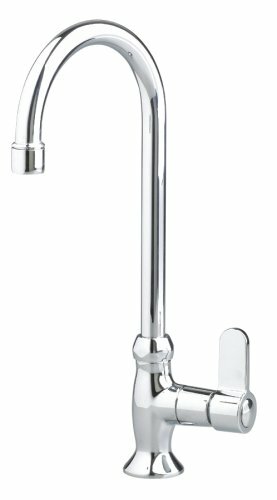 7100241H.002 Finish: Polished Chrome Features: -Pantry/Bar faucet.-Single post mount.-Brass swing spout.-Single supply for cold or tempered water.-Ceramic disc valving assures drip-free for life performance.-1/2'' IPS inlets.-13 1/4'' spout height.-9 3/8'' aerator clearance.-5'' spout reach.-1 3/8'' maximum deck thickness.-ADA compliant.-Low Lead: Meets NSF Standard 61/Section 9 & Prop 65 lead requirements. Construction: -Durable brass construction meets Safe Water Drinking Act requirement. Collection: -Amarilis collection.-Heritage collection lever handle. 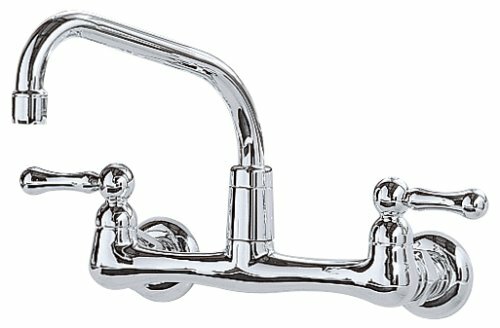 American Standard Heritage Wall-Mount Faucet with Metal Lever Handles in Chrome, #7298.152.002. Ceramic disc valves assure a lifetime of smooth handle operation and drip-free performance. Wall mount faucet. Mounts on 8in centers. 8in long swivel spout and metal lever handles included. Lifetime finish won't tarnish or scratch. Ceramic disc valves provide a lifetime of smooth handle operation and drip-free performance. American standard tub/shower plumb repaid kit. Heritage - Chrome. Faucet rebuild kits. American standard tub/shower plumb repaid kit. 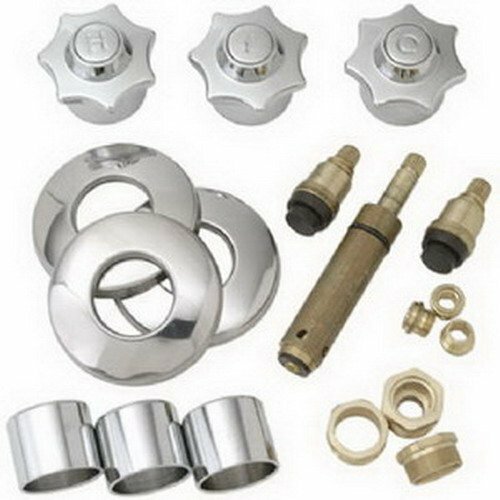 Heritage - Chrome Faucet rebuild kits Non OEM Includes 2 stems, 1 diverter stem, 3 seats, 3 sleeves, 3 escutcheons, 3 wave washers, 1 pair handles and 1 diverter handle. 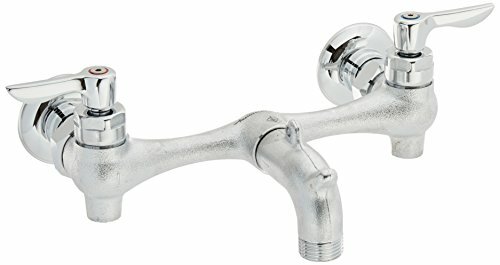 Lever Handles Integral Supply Stops Bucket Hook Threaded Hose End8-Inch (203Mm) Center3-Inch Spout Wall To Spout Outlet: 6-1/2-Inch (164Mm)8350.243 Same As Above8351.076 Same As Above8354.112 Exposed Yoke Wall-Mountutility Faucet. 7298252.002 Handle Type: Porcelain Lever Features: -Porcelain or metal lever handles.-Ceramic disc valving assures drip-free for life performance.-ADA Approved lever handles.-8'' swing spout.-Lead Free: Faucet contains Less than 0.25% total lead content by weighted average. Construction: -Durable brass construction meets Safe Water Drinking Act requirement. 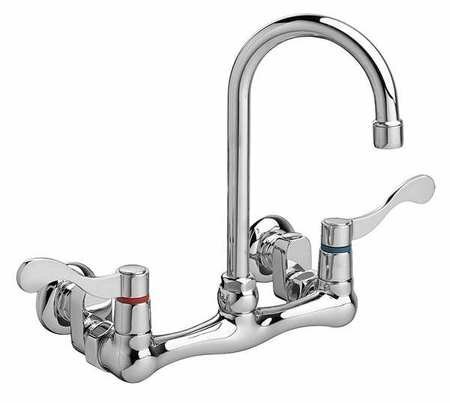 Field-Convertible Rigid/Swivel Gooseneck Spout: 4-3/4-Inch Reach, 10.5-Inchoverall Height, 6-5/8-Inch Height To Outlet Red/Blue Indexed Metal Wrist Blade Handles Heritage Wall Mountsink Faucet Offset Shanks With Integral Supply Stops With Adjustable Rough In (From 6-Inch - 10-Inch)Wall To Spout Outlet: 8-1/2-Inch2.2 Gpm (8.3 L / Min) Maximum Flow. 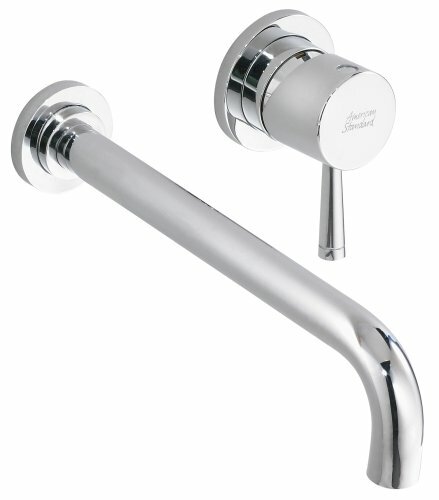 American Standard Serin Single-Handle Wall Mount Lavatory Faucet in Chrome, #2064.461.002. Includes an adjustable hot limit safety stop to reduce the risk of accidental scalding. With a lifetime finish that will not tarnish or scratch. Shopping Results for "American Standard Heritage Faucet"